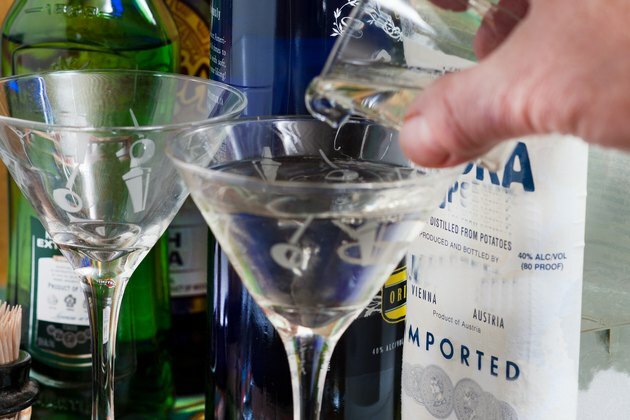 The calories in a martini differ based on the size of the cocktail, the alcohol content of the liquor and the ingredients used in the mix. Use a calorie counter app to work out how many calories are in your favorite beverage. 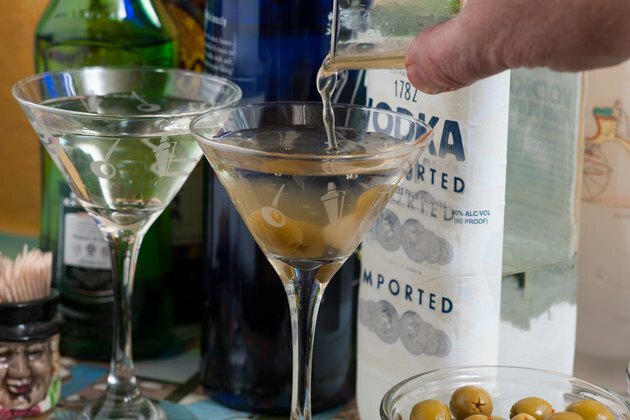 Order a vodka martini, and your bartender will likely hand you a mix of 1 jigger of 80-proof vodka and a half-jigger of dry vermouth, totaling 127 calories, according to Drinks Mixer. Use a higher proof of vodka, such as 90 or 100-proof, and your calorie count will increase by 13 to 23 calories per jigger. 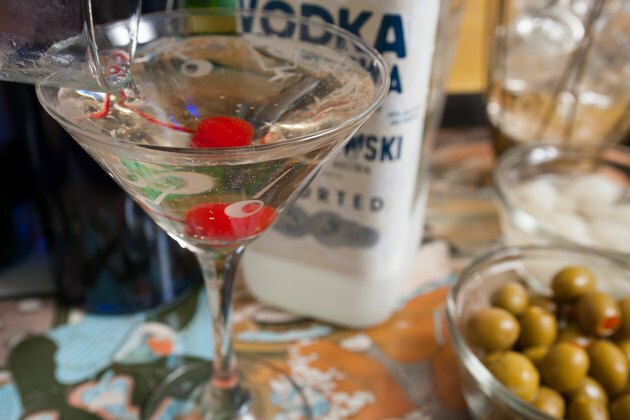 Change your drink order to a dirty vodka martini, and you might receive 2 jiggers of vodka, 1 jigger of dry vermouth and 1/2-oz. of olive brine, totaling 240 calories. Some days, you may not have a full bar available. 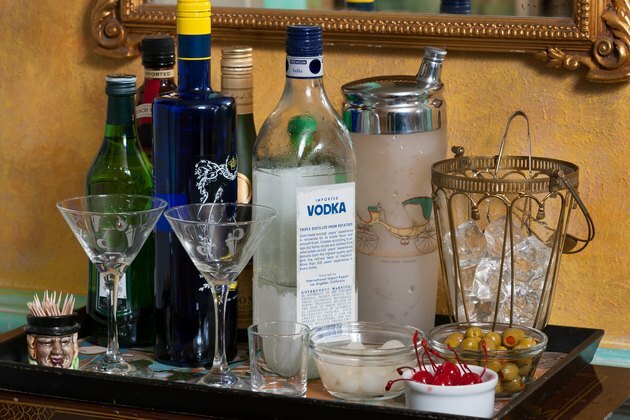 A "poor man's vodka martini" contains 2-oz. of vodka and 3-oz. of ginger ale, totaling 169 calories.